Application of non-destructive testing (NDT) methods are growing in condition assessment of civil structures. NDT methods are commonly used to evaluate the strength of materials (e.g. strength of concrete, consolidation of soil), to detect/localize embedded objects (e.g. pipe and tube, cables, manhole tunnel), to detect symptoms and side effects of damage mechanisms (e.g. delamination, internal cracking), to map the bed rock or boundaries in multi-layer media (e.g. asphalt/concrete/soil), and to detect the thickness or length of a medium (e.g. pile length, tunnel lining). GPR consists of a transmitter antenna and a receiver antenna, and a signal processing unit. GPR emits electromagnetic pulses (radar pulses) with specific central frequency to scan the subsurface medium. The reflected waves from subsurface layers, and objects are captured by the receiver antenna. 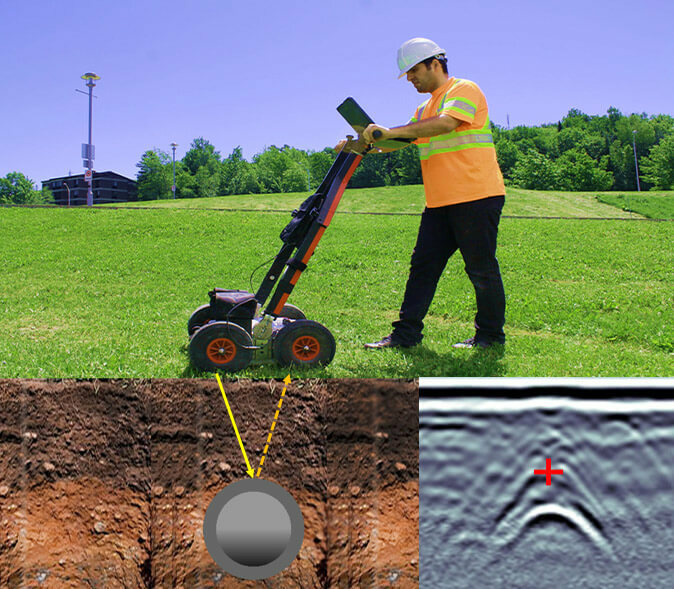 Depending on impulse frequency, GPR is able to detect the internal events and objects at different depths. When there is a need for high resolution scanning, antenna with high frequency is required; however, the depth of penetration will be limited to the very first few centimeters. Lower frequencies are required when the objective is to detect very deep subsurface events and objects. 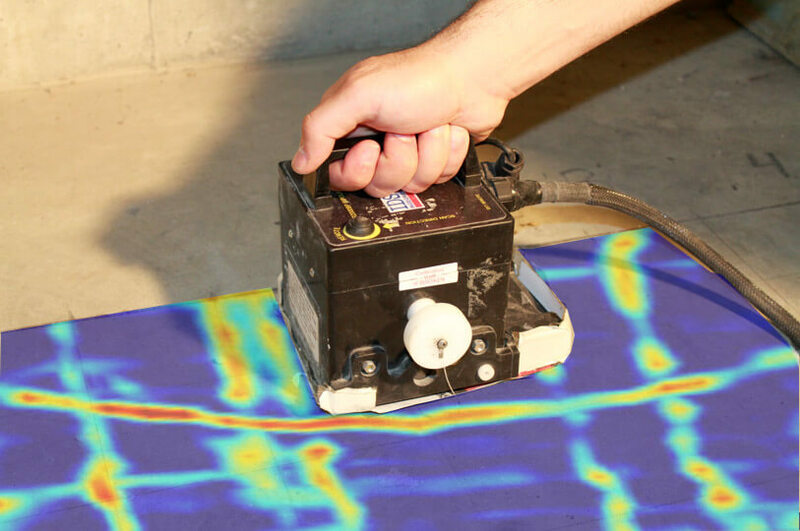 Despite this wide range of applications, there are some limitations associated with GPR. These limitations are related to the nature of electromagnetic impulses that are used for inspection purposes. High conductive environments (such as moisture environments, materials contaminated with sea water, clay, metallic materials) are problematic for electromagnetic probe waves. The ions and bipolar components that exist in high conductive environments absorbs/disrupts the electromagnetic probe waves, and decreases the amplitude of reflection. Weakened reflections lead to lower resolution results. This entry was posted in Bridge, Inspection and Evaluation. Bookmark the permalink.